We went out and visited the beeyard today. Scott wanted to check the hives to make sure they were doing ok, add frame boxes to the ones that needed more room and weed whip around the hives. I moved the empty boxes out of the truck while he placed them. Sadly there was one hive that just didn't survive. It was already weak this spring and it just died out. It happens. While there were other hives that were quite strong and full of busy bees making honey. Once I was done moving boxes I was free to take photos. And photos is what I took. Mind you it was hot and humid and we're completely tricked out in safety gear. Full canvas jacket with netted hood, full length leather gloves, long pants, and long socks. Whew...toasty! Melty even. Nonetheless...it was fun to get some great shots today. On the list of things to get "someday" will be a macro lens for the camera. I was very happy with the photos I got but I would sure love to get some really tight detailed photos. Peaceful Thymes in Atwater MN. Cornerstone Cafe in Willmar MN. As hobby beekeepers we're often asked about how the bees are doing. Our bees are doing fine for now. But that can change. Dr. Marla Spivak of the Univertisty of Minnesota is one of the world's foremost experts on bees. This TED talk video is definitely worth your viewing time. She'll explain, based on scientific evidence, what's happening to the bee population and what we can do to help it slow it's decline. And there are things YOU can do. Most importantly, watch the video. Education is the key to success. Click HERE to be linked to the video. 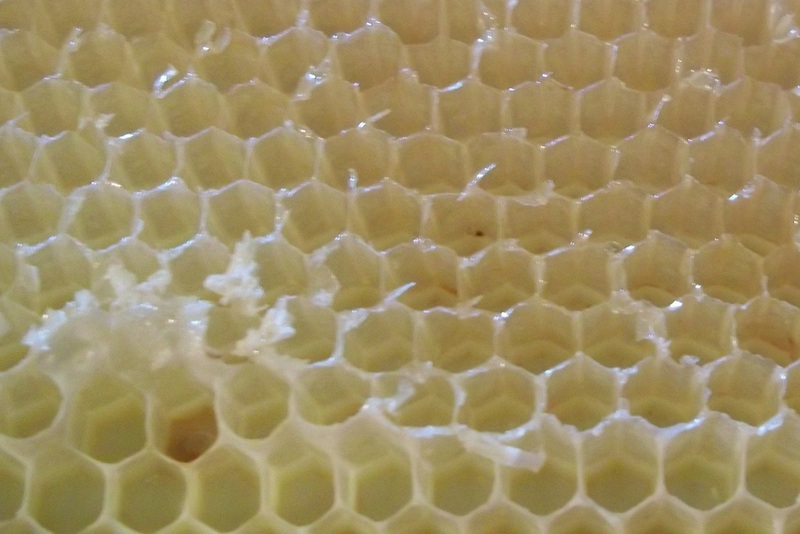 Feeding the Habit puts honey or beeswax in all of our products. Honey is well known for it's nutritional value but it's lessen known for it's value for the skin. 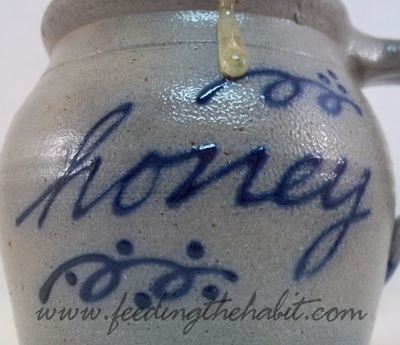 Honey is the only food that if kept in it's natural state is good forever. Natural state means if it's kept in it's wax comb it will not spoil. It takes 1,152 bees to travel 112,000 miles and 4.5 million flower visits to produce a single pound of honey. All pure, raw honey will crystallize. If it doesn't crystallize it may not be pure or raw. All Neuhaus Wild Flower Honey is pure and raw. 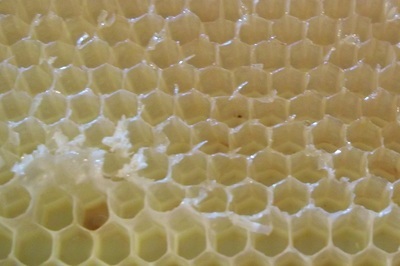 It's said that for 8-9 pounds of honey produced the bees produce 1 pound of wax for it's storage. Feeding the Habit ships our honey in one lb plastic squeeze bottles. 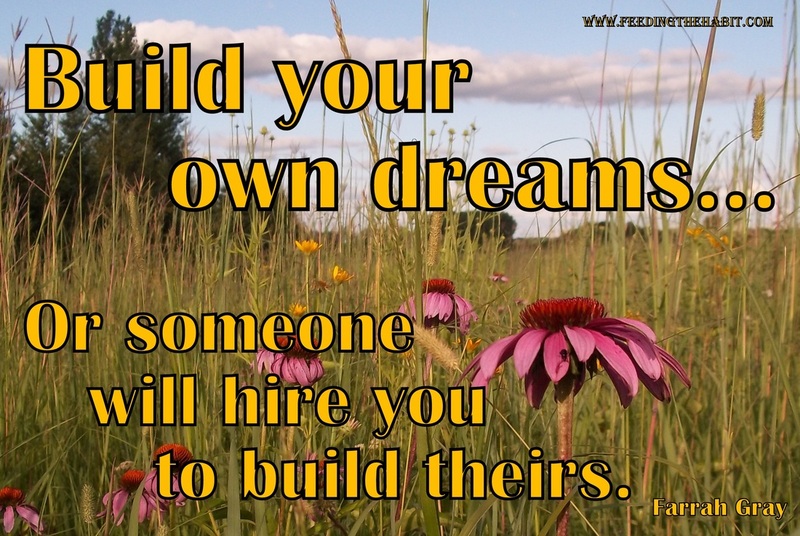 Click HERE to be linked to the page. Now that you've read what I wrote, go back and watch the video. Please? In the meantime, stay sudsy my friends. Stay Sudsy! Handcrafted, artisan shea butter soap. Made in rural Minnesota. Click on the photo to get one or four for yourself! Some people might ask why....a creative person says why NOT? As we are on the cusp…The cusp! 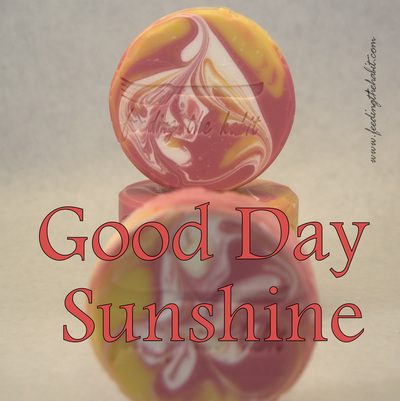 I tell ya…of the warmth of summer, so I’d like to introduce you to a very limited edition soap I made earlier this year. Beach Bum is a meticulously hand crafted soap that will blow your flip flops clean off your feets. Several years ago I got this really nifty flip-flop ice cube mold (which is easily doubles as a soap mold) but hadn’t really used it much. I recently rediscovered it and decided that it was just too darling not to put into use. Particularly as we were still in the throes of winter and I was dreaming of warm sun and the beach. The flip-flops are several different layers of a purchased soap base. I laid down the yellow flower center first, let it harden. Put down the pink colored flower, let that harden. Then it was the gray layer for the flip flop straps and let that harden. Lastly the green for the flip flop base. Now mind you….I only two sets of molds. Each mold had 6 pairs of flip flops for a total of 12 pairs. I needed 18 pairs. So this painstaking process was repeated twice. Then I made one of my regular soap batches and fragranced it. After I set some aside a small amount for later, I added in a little ground up oatmeal to the rest of the batch for texture and to have the appearance of sand. I poured it in the mold but then tilted the mold a teeny bit to get it to look like the surf has wore down the shore a little. My next step was to color the remaining soap batter with two shades of blue. Soap can start to firm up after a while so I needed to start hustling along to get this all done before the soap was too hard to manipulate. I inserted the batch dividers and started to layer in the blue "water" soap. Swirling and twirling as I placed it. That's why you can see more texture in the "water" part of the soap. It was starting to set! Lastly, I had to gently lay down the flip flops and position them just so, giving them a little push to embed them properly once I found the right location. Whew. Done. For now...I just needed to cure it up for six weeks and then it'll be ready to go. These are going to be a web site exclusive. If you want to bar or two you will have to order it off the website. These will NOT be available at any of the fine retailers I work with or brought to any shows. I believe these soaps will go quick so don't wait. If you want a bar or two, nab them up right away. About two years or so ago a friend of my mine, Linda F. from Hutchinson MN. posted a recipe on Facebook for a Spiced Raisin Granola. It looked interesting and I thought it would be something we'd like. I copied down the recipe and tried it. We really liked it but thought it could use a few changes for our taste. That's what's nice about a granola recipe. You can make any changes to it you'd like without seriously messing it up. I like raisins well enough but they're not my favorite. So I opted to leave them out. If you'd like to add some fruit, I would suggest adding dried cranberries. They're awesome with the orange zest. Plus there were whole almonds in the original recipe that I didn't appreciate. So they got left out too. We've also opted to add a little more honey than what was called for. Why? It's honey and we've got plenty and it's HONEY! Honey = Yum! I've always disliked the texture and taste of hot oatmeal. Oatmeal in a bowl with milk like a regular breakfast cereal is more my thing. My Mister likes hot cereal. Again, this granola is pretty adaptable to either method. 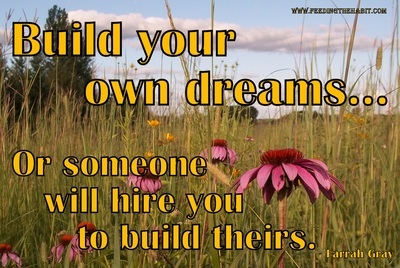 It's all up to you. 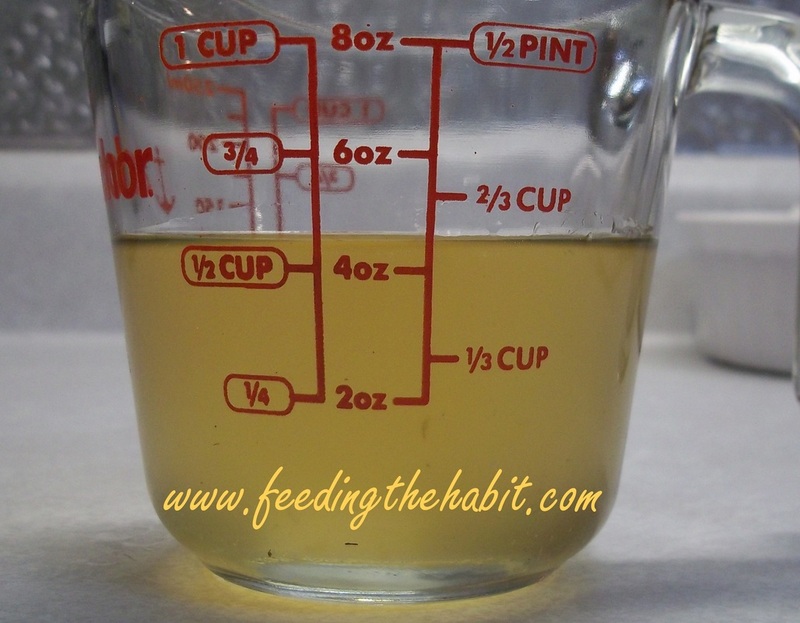 Measure the oil in a ¼ cup and pour out in a bowl. Without cleaning the cup, measure the honey and add to the bowl. (The honey won’t stick as much in a pre-oiled cup!) Warm slightly in the microwave. Add the measured spice mix and orange zest and combine well. Spread on parchment paper lined baking sheet. Stirring often, bake for 30 minutes at 275 degrees. When completely cool, store in an airtight container. This mix will make enough for several batches. Store in an air tight container. I've also been updating the website. Check out the latest offerings. I've ordered in some incredibly gorgeous soap dishes. These things literally took months to get in. I think they were ordered in December. Anyhoo, if you're looking for something very unique for a gift, check out the Teak Wood soap dishes. No two are alike. Aren't they lovely? 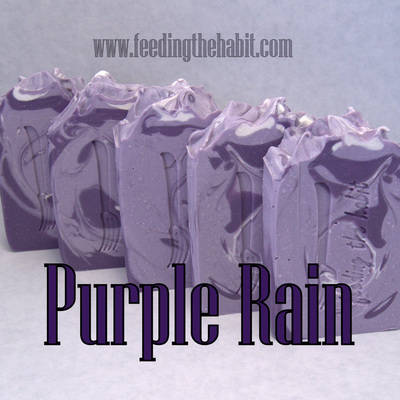 I've also added several restocked soap and lotions and one new fragrance to the line. Check them out by clicking on the photos. I'm still working on adding a few new products to the line. 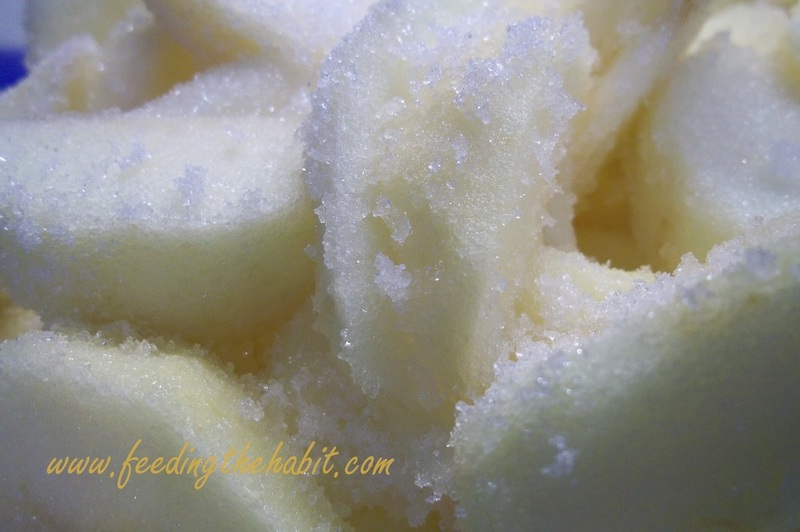 I've trialed out an emulsified sugar scrub to great reviews. However it wasn't RAVE reviews which I want before I release it. I've done more recipe tweaking and think I've nailed it. The other two trail recipes pale in comparison. One more trial-run and it'll be ready to go. Why is this pig smiling? He just realized that it's a short three weeks until the official start of Spring of 2015. And now you're smiling too. And with spring's arrival that means summer is just around the corner. Aaaaand now you're smiling wider. You're welcome. So. In the meantime, it's still winter. Boo. Have you got the scritchy-stretch-rub-wriggle-heebiejeebies-scratchy itches from dry winter skin? I don't. Not anymore. Not since I started using handcrafted soaps and lotions. 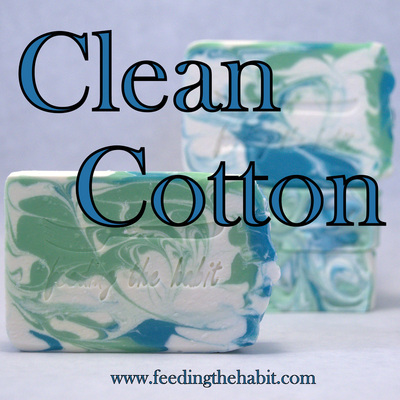 If you start using handcrafted soaps and you'll only need lotion once in a while. It really does makes a difference. Why? 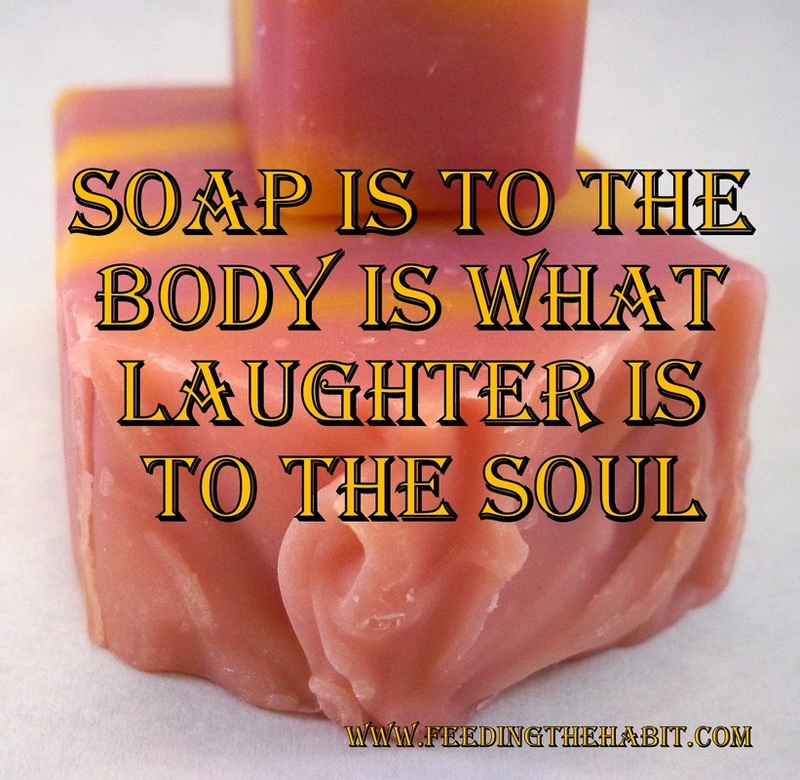 Because Feeding the Habit handcrafted soaps are made with skin loving oils and butters. Not only that they are made with more oils than what is needed to make soap. Wut? Yeah, that's right. I add more oils than what is technically needed to make "soap" by the scientific method/description. I do what's called "superfatting". Superfatting is loading in additional oils that are left to free range in the bar. That's why you feel "slippery clean" rather than squeaky clean when you step from the shower. Slippery clean are those oils are lounging around and helping keep things NOT scritchy-scratchy itchy. Squeaky clean is when you wash away all your natural oils by using detergents. Your body creates those oils for a reason. Why are you washing them down the drain? Keep them, they're yours. The only way you're going to see that I'm right is try it for yourself. Buy a couple of bars and give it whirl. And don't give me a load of bunk about how you like your shower gel and pouf. That pouffy thing that you love so much? When was the last time you replaced it? Think about it....so its hung around all wet with your left-over skin attached to it for how long? A month? Two months? 6 months? (Insert note of sarcasm here--->) Oooooo, nummy! Let's scrub a little human souffle around our naughty bits and pieces. That's sound like its so much better for you than a nice fresh bar of soap doesn't? Buy a bar. Do it. You'll be glad you did. Come on over to the soapy dark side. Not only do we have cookies, we don't have dry itchy skin. 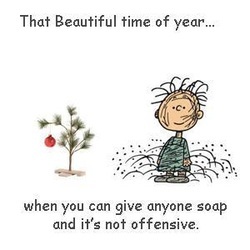 In the meantime, stay sudsy my friends! Stay Sudsy. If you look closely you’ll notice some changes with Feeding the Habit. I’ve started changing over all the labeling to something a little more polished looking. As you’ve heard me say before I’m very big on buying local. I’m one of those folks who puts her money where her mouth is. I’ve been working closely with our local small business printing house. There are a lot of on-line suppliers out there who can give you a great product for decent price. But can you walk in to their location and have a chat? Can you doodle on the label mock up and make changes with them on the fly without having it take tons of time? Most likely not. I appreciate our local print house more than you know. Reason number 4926 to appreciate them? It’s also a woman owned business. While it’s not the rarity it used to be, it’s still something worth noting. And more importantly, it’s worth supporting! So as 2015 moves on you’ll see the last of the products getting the new labels and the NEW products will start with them. I think you’re going to like what’s in works. I’ve got one product that is going to trial next week. I tweaked it several times already. I think I’ve landed on the RIGHT way. My way. Now I just have to see if other people will agree with me. Whew! Where did the year go? 2014 has been quite momentous and eventful. There were lots of new fragrances and products added to the product line, starting with "Well, Oil Be Damned!" and ending with the very limited edition "Your Mother was a Hamster and Your Father Smelt of Elderberries." There couple of tasty recipes posted on the blog and the Brambleberry S.O.A.P. Panel Trial was participated in. I posted a photo gallery on the 2014 Honey Harvest and started teaching soapmaking demonstration classes. So yeah. There were a few things to keep me occupied between soap batches and craft shows/events. And I loved every minute of it. What's up for 2015? Well, I was able to upgrade to a commercial shrink wrap system for the soaps that resulted in the need to design a new soap label. I think you'll like what you see. I am working on reformulating "Farm Hand" to make it a little more hard and solid so that it can also be sold during the warmer summer months. And I'm also researching and just about ready to trial out a new facial serum that will be an excellent companion to "Well, Oil Be Damned!" Lastly, there are always new fragrances to test out and add to the line. In a nutshell, I don't think I'll be bored and I think you'll have lots to look forward to! What was the best part of 2014? See the happiness radiating from those faces? That's the best part. From me and my family to you and yours...Best wishes for a healthy, happy and prosperous 2015! Stay sudsy, my friends. Stay Sudsy! 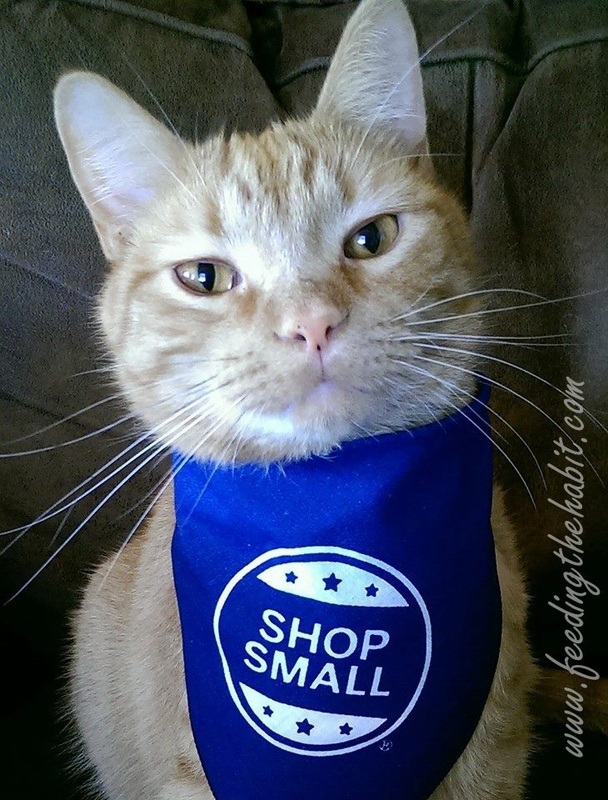 Ernie says thanks for keeping him in kibble and fresh litter by feeding your habit and supporting Shop Small! 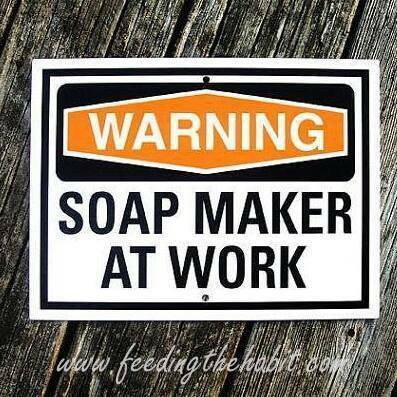 Ok....so that was four....but yep, you're right, I'm making soap! Are you surprised? No, not really? I'm gearing up and stocking the shelves for the holidays. Got some old favorites making the return and a couple of new ones that will be sure to bring the Merry to your Christmas! Keep an eye peeled to the Facebook page and to the blog for the release of Hippie Christmas, The Three Wise Dudes and What They Brought, Cranberry Fig and Peppermint Twist. If you're a Monty Python fan (or have a Python Fan on your gift list) be sure you get your dibs in early on the Limited Edition soap "Your Mother was a Hamster and Your Father Smelt of Elderberries". This soap is made with "Holy Grail/Holy ALE" beer and fragranced with Wild Elderberries. If you giggled at the thought of this soap and that quote, you'll understand the name. If not....well...ahem...."And now for something completely different." In meantime, stay sudsy my friends. Stay Sudsy! Fall has always been my favorite time of the year. With all the glorious colors of the turning leaves, crisp air, warm sweaters and baking! Apple pie to be specific. 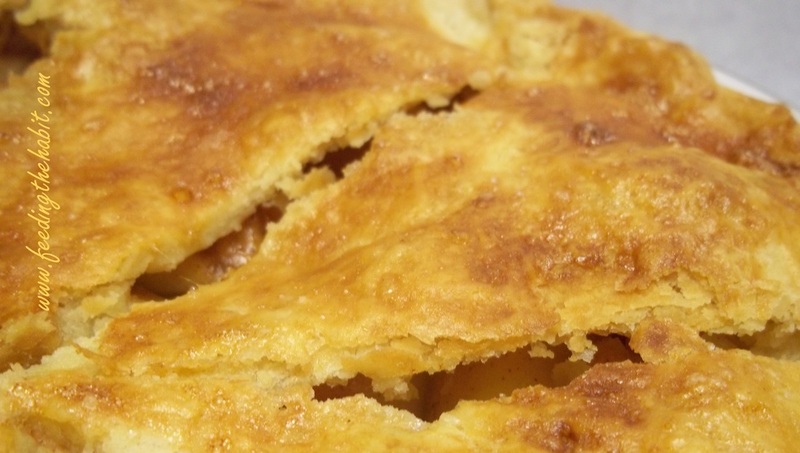 I know, I know…I can make apple pie anytime of the year but you know how big I am on buying local. So when I can pick up apples from our local growers I do. I get some for munching and others for pie. While my mom was a darn good cook she didn’t do a lot of baking. It just wasn’t really her thing. So most of what I learned about baking I learned on my own. With a good old fashioned Betty Crocker book in hand, I explored, trying this and trying that and failing miserably and trying again. 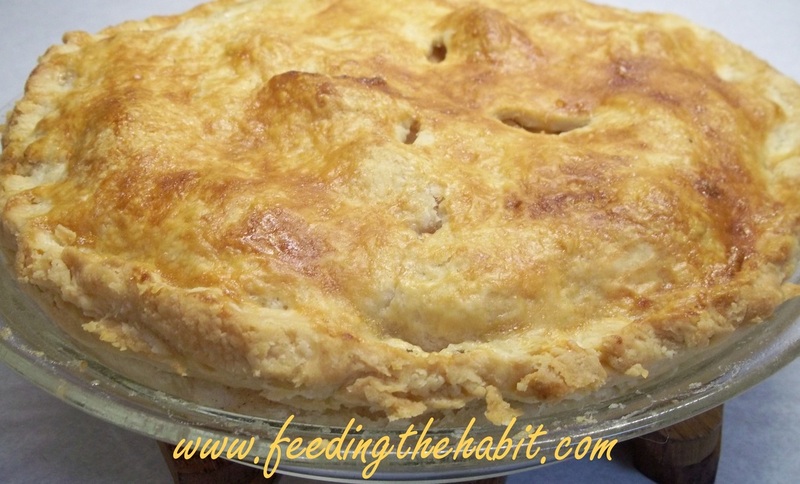 While I still use the basic apple pie recipe I found in that old book I’ve tweaked the process and added a newly re-discovered secret crust to it. Think of the best piece of pie you’ve ever had…it was probably made by your grandma or some other little old lady who knew how to use the best ingredients. And that best ingredient included lard that she probably rendered herself. Now mind you, I didn’t develop this crust recipe myself. I’m simply not that creative in the kitchen. About a year ago I picked up a book from the public library called “Lard: Cooking with Your Grandmother’s Secret Ingredient.” What a great book! I’ve gotten several really good recipes out of it but none are better than that pie crust recipe. Throughout the years I’ve learned a few additional tips that making pie making a little more fun and the results oh so tasty. So let’s begin shall we? 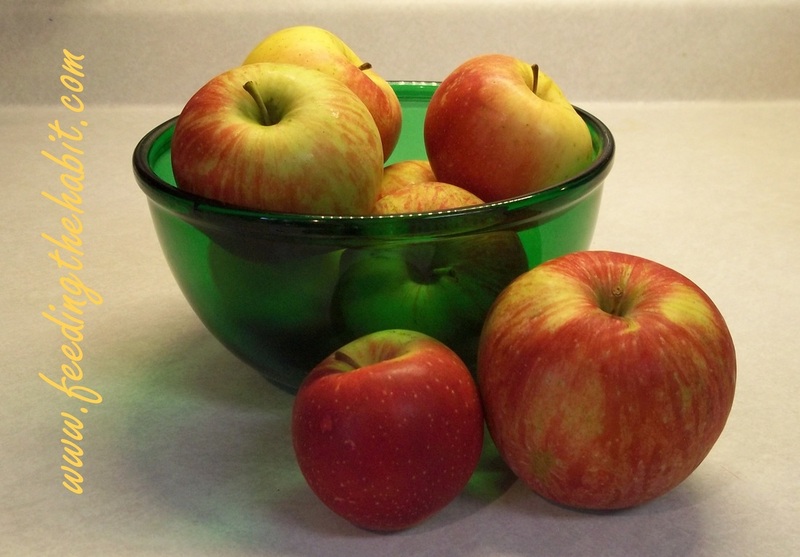 Use more than one variety of apple. When buying locally ask the grower what type they recommend. They’re the experts, they should know. 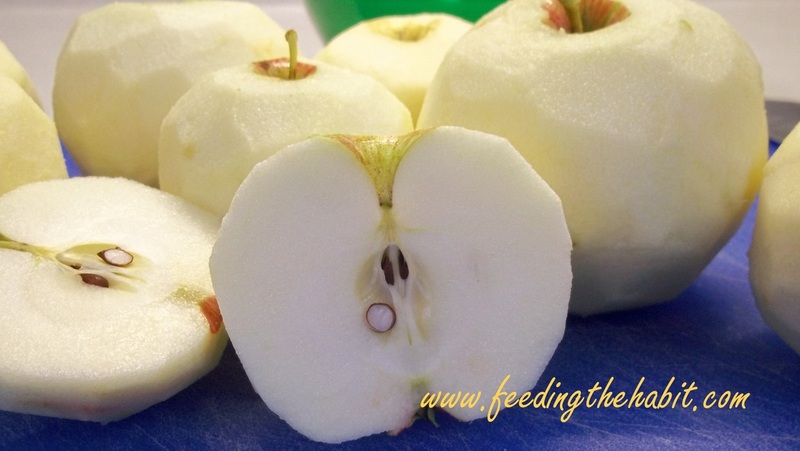 If you’re buying apples in the off season from the grocery store, there are often little signs near the apples that explain which are best for certain uses. 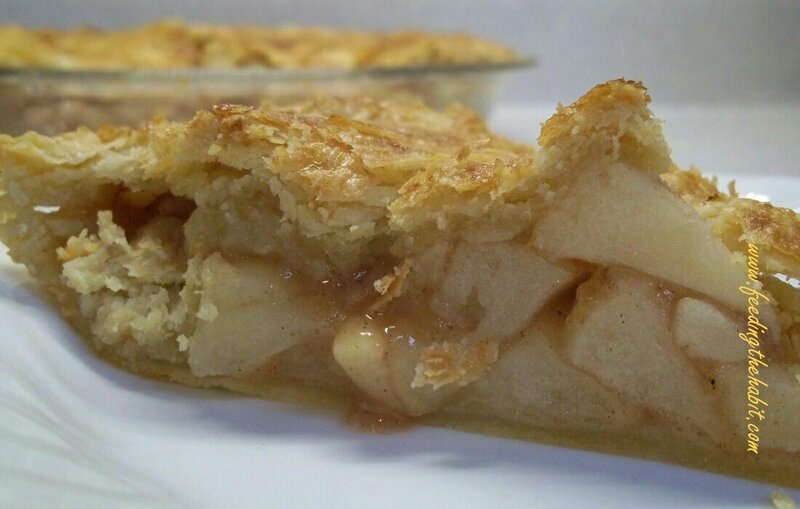 For this pie, I used Harlson's, Honeycrisp and a variety from the Minnesota Landscape Arboretum called 1914. 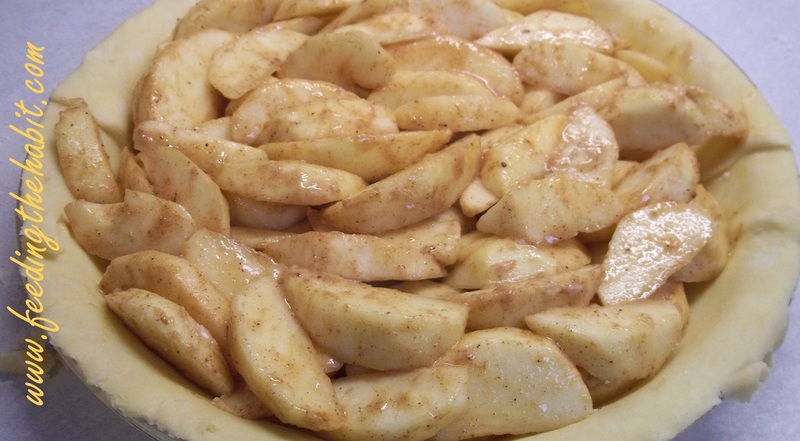 In a large bowl, mix the apples with the sugar and set it aside for at least one hour. 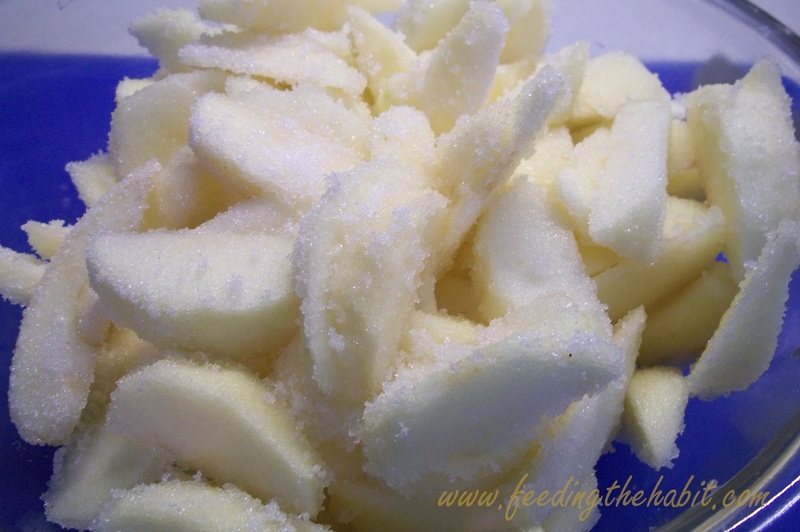 The sugar will help release some of the juice from the apples. And before we add anything else or dump them in the pie, we’re going to drain off those juices. Why? Well have you ever had a mushy, soggy pie? Gross, isn’t it? That’s all that extra juice just lounging around in your pie. Let's go ahead and get rid of that right away. 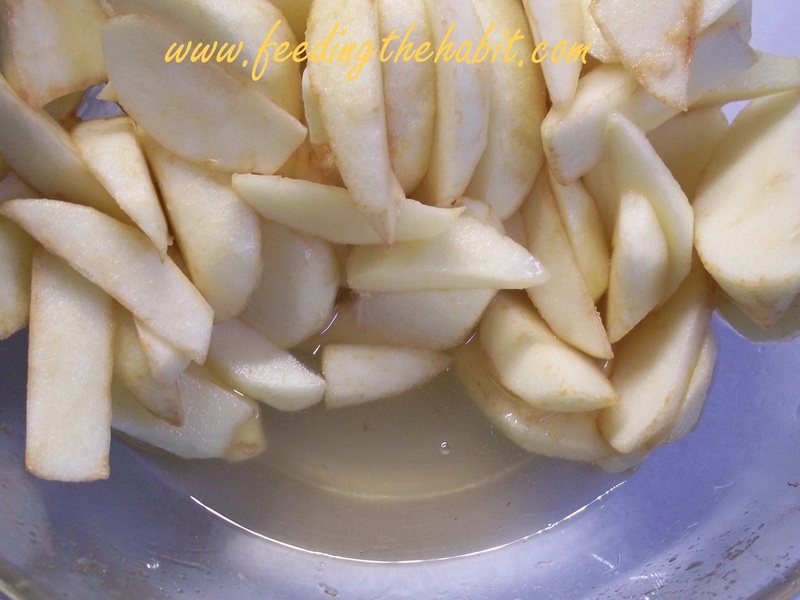 Your apples still retain enough juice even after you drain the excess off. 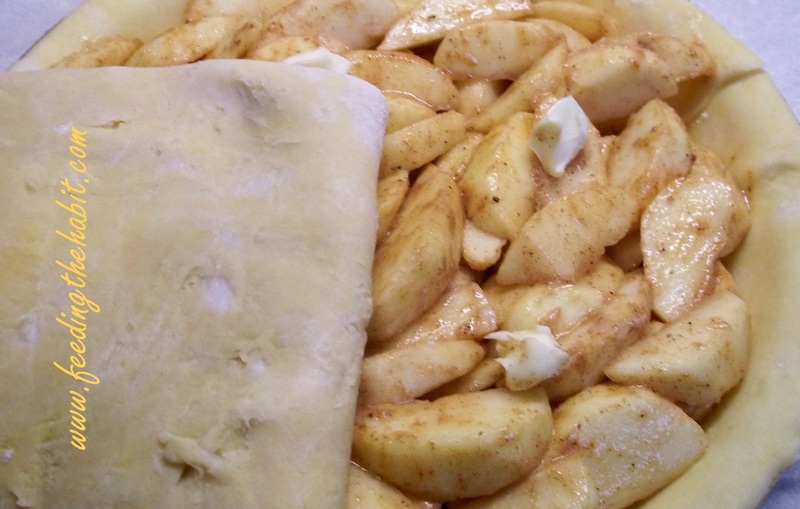 While the sugar and apples are doing their thing, let's get started on the crust. 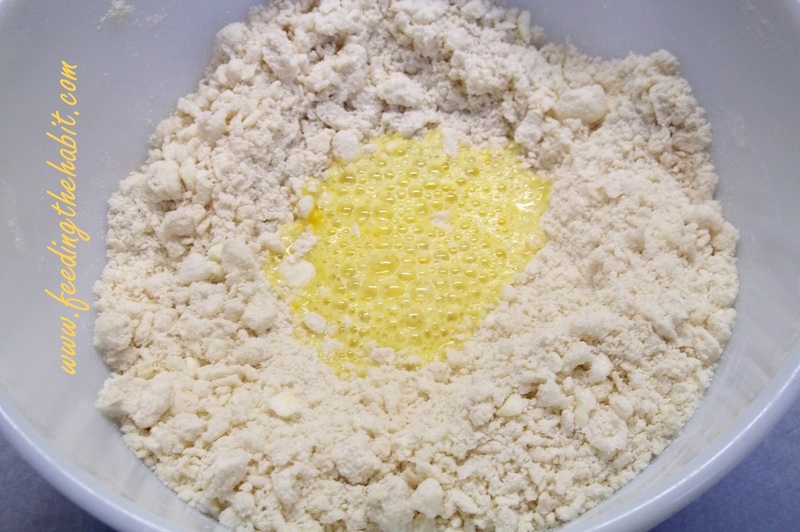 In a large bowl, combine the flour and salt. 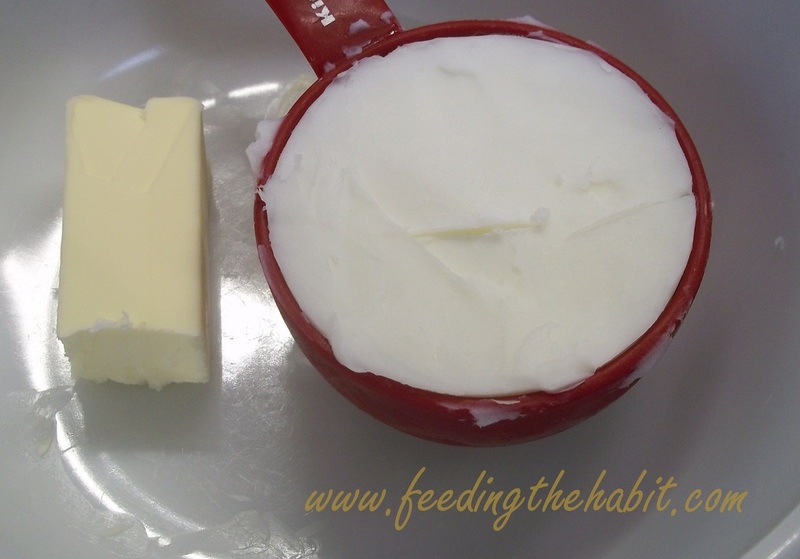 Using a knife, shave off pieces of lard and butter into a bowl. Shaved pieces will be easier to cut into the flour. 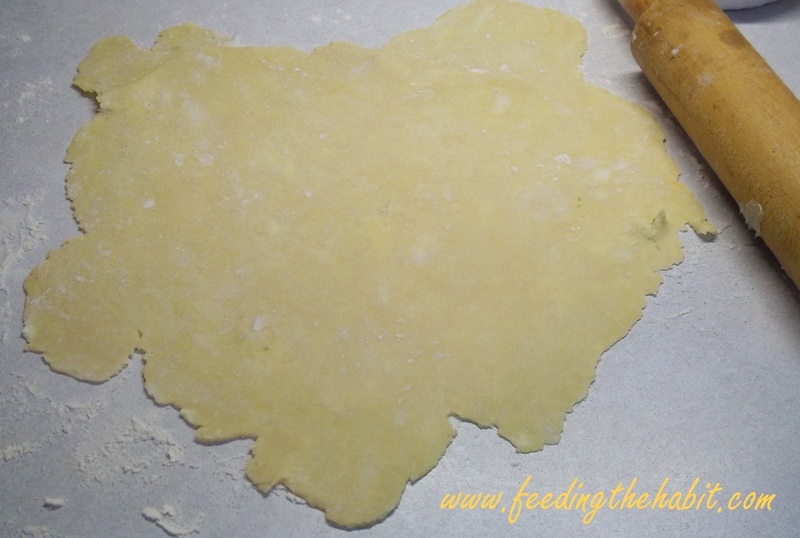 Using a pastry blender, cut in the lard until the mixture is very fine. 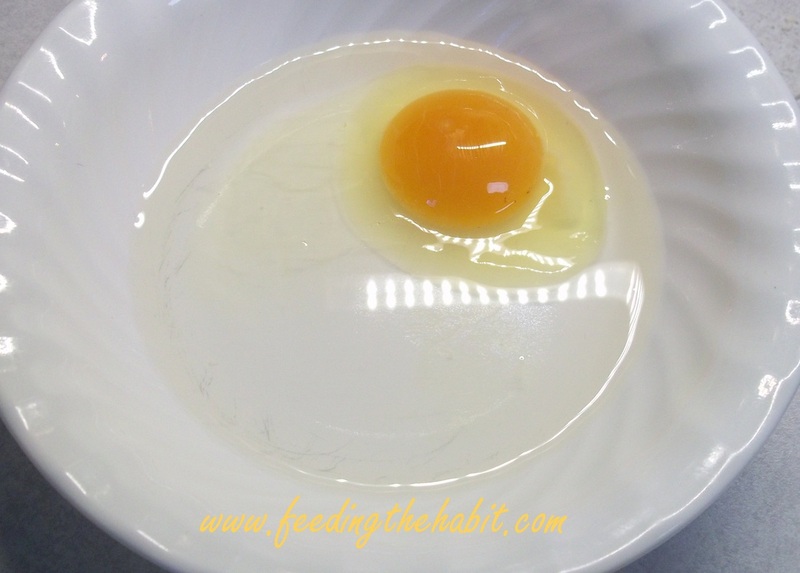 In a separate bowl, beat together the egg, water and vinegar. 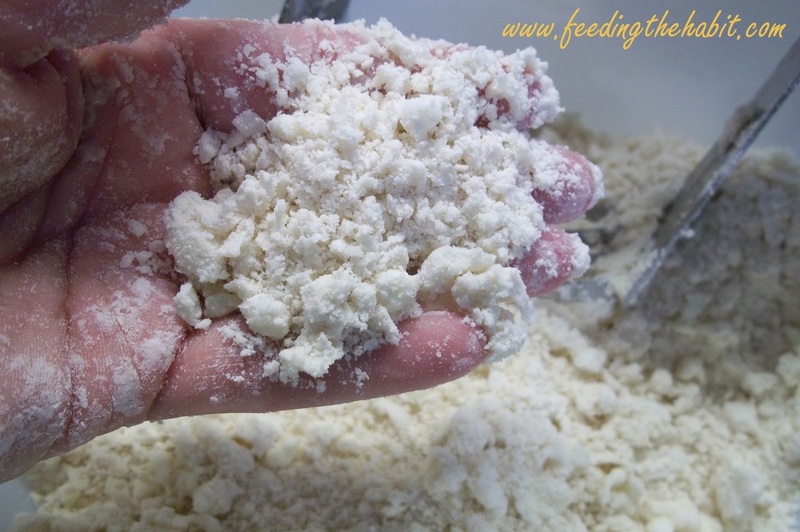 Make a small well in the flour mixture and the all the liquids. Mix just until the dough comes together in a ball. 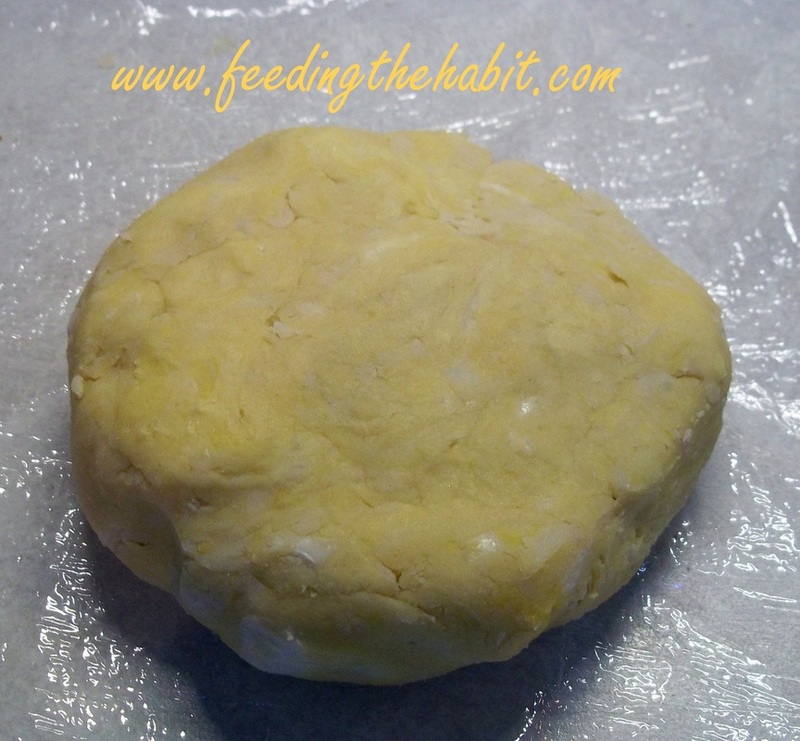 Divide the dough into three equal pieces and flatten into disks. (Why three pieces? 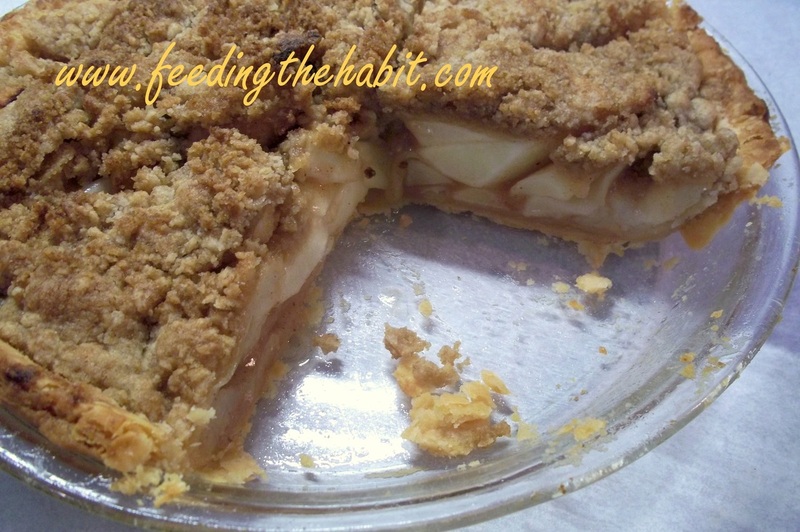 Two for a pie with crust topping and one for a pie with French Crumb Topping! *) Wrap in plastic wrap and refrigerate for at least 30 minutes before rolling it out. See those white spots and yellow spots? That's lard and butter chunks. THAT's what makes a flaky crust. Trust me on this. 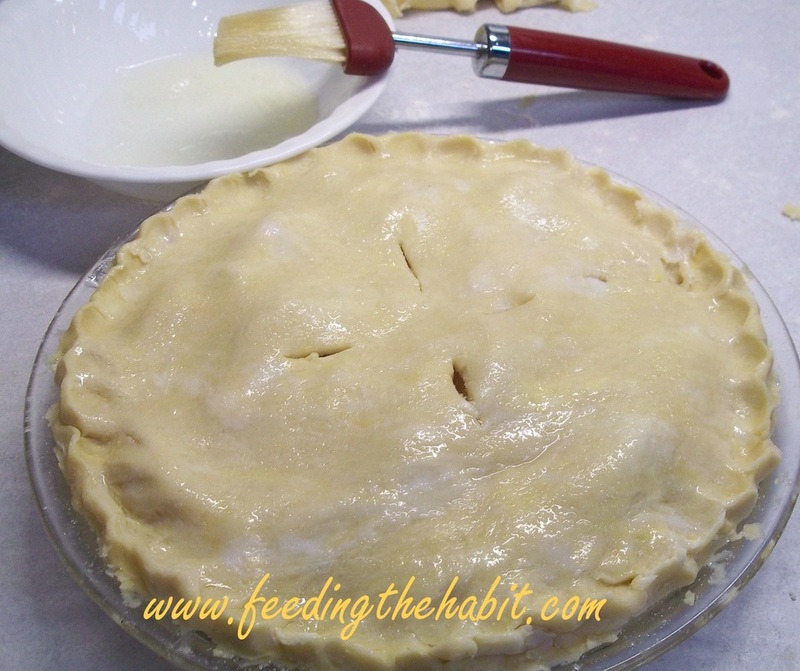 I struggled with making pie for a long time because I couldn’t roll out the crust very well. It would have uneven thicknesses and is typically shaped like Africa or Australia. Then I would have to patch it together. But you know what? Once I read the statement of "you can’t TASTE round" I got over my obsession of creating that perfectly shaped crust. Once I got past that hang up, I got a more even crust too. So there. And isn't really about the taste anyway? 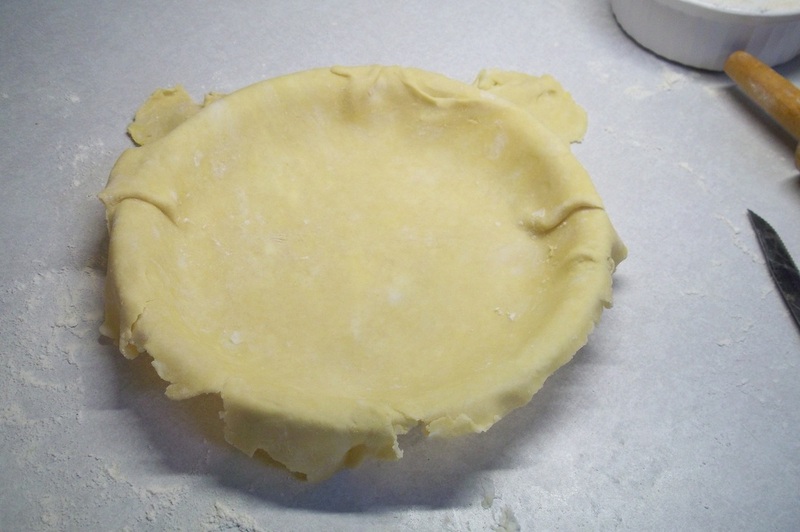 Place the rolled out crust in a glass pie pan. Drain the juices from the apples. 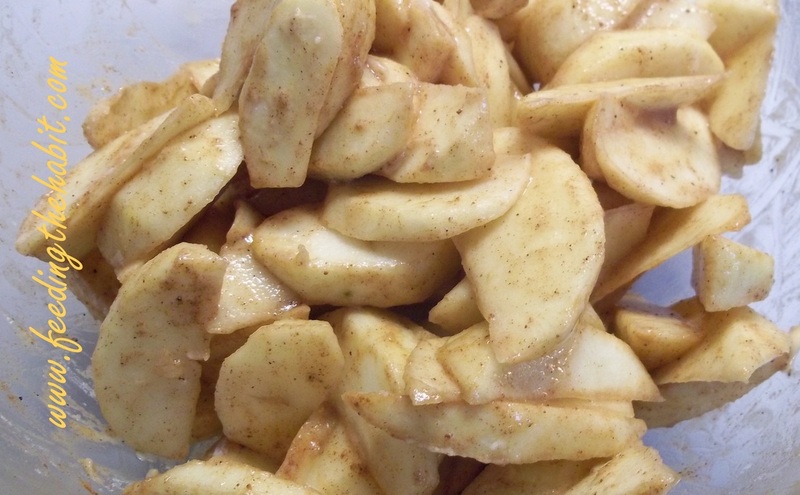 Look at all the juice that came off the apples. Now imagine that juice lounging around the bottom of your pie. That's where your soggy crust comes from! That's how much juice I drained off my apples. Add in the prepared pie filling ingredients and mix well. Before placing on the top crust on the filling, dot on a little butter. This helps adds richness to your filling. Flute the edges of the crust and cut in slits in the top to allow steam to escape. For added flair brush the top with egg white and sprinkle with sugar. Oooo…Purty! 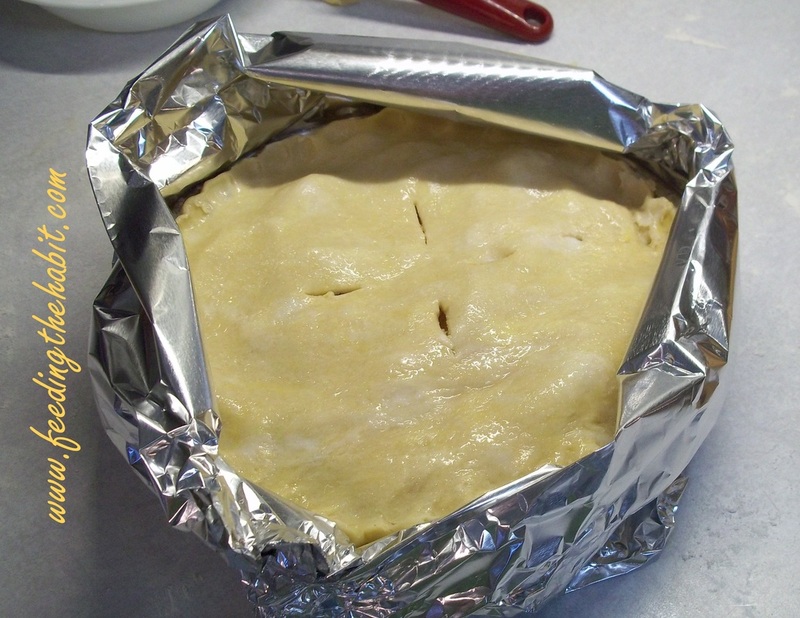 Before placing the pie in the oven, wrap the edges of the pie pan with a strip of tin foil forming a little tin foil shield. Remove and set aside. After the pie bakes for a while, wrap the shield around the edges to prevent over-browning. If you make your shield ahead of time, you won't have to try to form it when the pie is hot. Bake in a preheated 425 degree oven. Bake for 20-30 minutes. Remove the pie from the oven. (Admire your work and get a good whiff of that cinnamon and nutmeg!) And add the tin foil shield and bake for 15 minutes more or until done. Cool on a rack so the air is able to flow under the pie. Done. Easy peasy. Well, not exactly easy....but oh so good and totally worth the effort. You’ll be proud of yourself for giving it a try. Mix 2 cups of flour to 1/2 cup firm butter and 1/2 cup of brown sugar until crumbly. 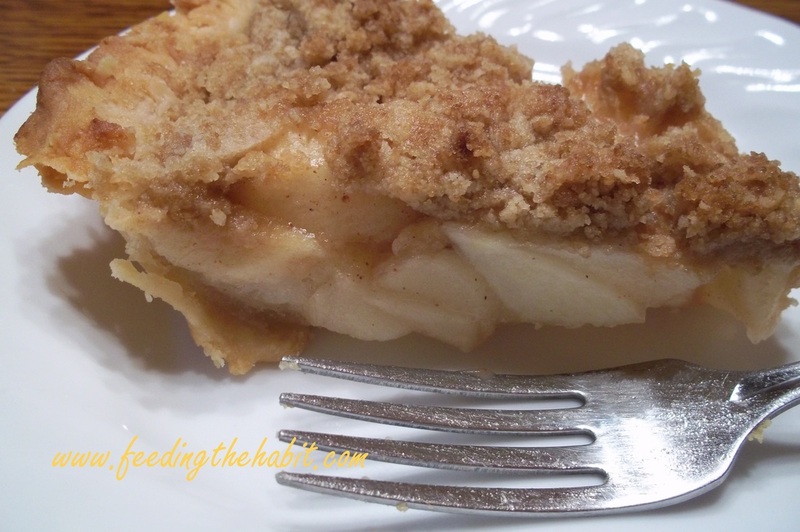 Top the pie with crumb topping and use a tin foil shield to prevent over-browning on the edges. Best served warm. Want to get the blog updates via email? Sign up through Feedburner!